Louis is in his late 40's. His parents and all of his siblings apart from one brother were killed in the 1994 Rwandan Genocide. 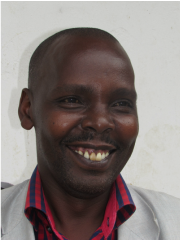 He is now married with three children and lives in Musanze. 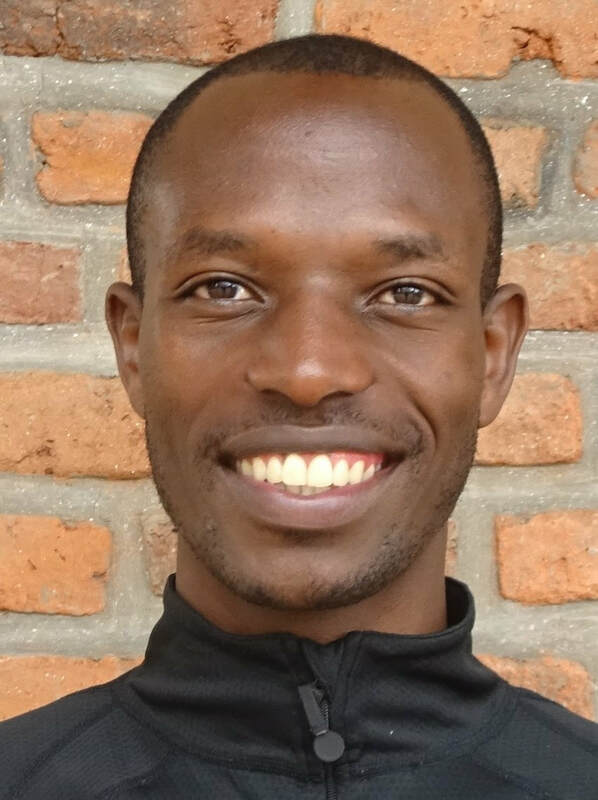 As a young man, Louis started teaching deaf children in 1997 when living in Butare, which is in the Southern Province of Rwanda. Here, there is a large and well established Deaf School which was set up by catholic brothers, the first provision for Deaf Children to be set up in Rwanda. Louis has never had any formal teacher training but learnt 'on the job' from more experienced teachers. He developed a passion for helping deaf children. There is as yet, no state provision for Deaf children in Rwanda. If the children cannot manage in the local school, many will stay at home, help with the chores - collecting water, cleaning, working in the fields - receive no education and be trapped in poverty. There are very few schools for Deaf children in Rwanda, and they are all depend heavily on outside agencies for their funding. In 2008 he and a relative, established a Centre for deaf children in Nyange, just north of Musanze. This was the first provision in this area for deaf children. He worked here as a teacher and Head teacher for 5 years. Then in January 2013, he decided to set up his own Centre in Nyabihu, south west of Musanze, which is the place of his birth and family home. Again, there was no provision in this area for Deaf children. The school started with 31 children, and now, six years later, there are 130. Louis found some accommodation that he could rent, and started his Centre. He approached the local schools to see if they would be willing to have Deaf children in their classes. They agreed, and now, with support from his teachers at the centre, there are 86 children attending the local schools. The Accommodation that Louis found in 2013 was in a very old set of buildings, but it was all that he could afford. Since then, through the fundraising of individuals and Chance for Childhood, they have recently moved into a new Centre. It has taken several years to find the money and build the Centre, but now they have much nicer accommodation and space to play. The Centre also organise training courses for parents and for teachers from the local schools as they recognise that education the people of Rwanda about the plight of deaf chidlren is essential for their integration into society. 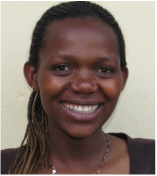 Our staff are dedicated men and women who care about what happens to poor children in Rwanda who are born deaf or become deaf through illness. Here are some of them. Audette - One of the two Matrons. The policy at NDCD is to integrate the children into the State school system as early as possible. However, most children arrive at the school around the age of 6 or 7, without any knowledge of Rwandan Sign Language. Early identification of hearing loss and the provision of support for pre-school children is not yet in place here. So for the first three years at the school, the children are taught separately in small classes. The aim of this period is to teach them their sign language, as well as the basic elements of the P1 and P2 National Curriculum, so that they can then integrate into their local school with sign support. In Rwanda, there are two school sessions in the Primary schools, one in the morning and one in the afternoon. Children attend one of these. So our children attend school in the mornings, from 7.30 to 11.30. The children have a teacher from the centre with them in their class, who can sign, help them with any problems, and interpret for them when they are asked a question. The students then walk back to the Centre with their teachers and their friends for lunch and a rest time. At around 2pm, they learn different vocational skills, weaving banana leaves, sewing using the treadle sewing machines, bead making for necklaces, wooden carving and traditional peace basket weaving. The products are displayed for sale in their local shop. At around 4 pm, many of the children revise the work from school in the morning with their teachers. This helps them to discuss any problems and to remember what they learnt so that they are ready for school the next day. Are you an artist? Do you think the Arts should be promoted in our schools? Especially for chidlren who find literacy challenging. We do. Damascene is a very skilled craftsman and artist. He used to teach the older children to a very high standard, and some of their work was amazing. Unfortunately, we no longer have the funding to employ him. We hope that we will soon find a donor who cares about the Arts who would like to support his reappointment. The children live at the Centre for the whole term, not just on school days so there are staff at the Centre 24/7. Here are our staff, including cooks, guards, matrons, accountant and teachers, standing proudly in front of one of the new buildings.